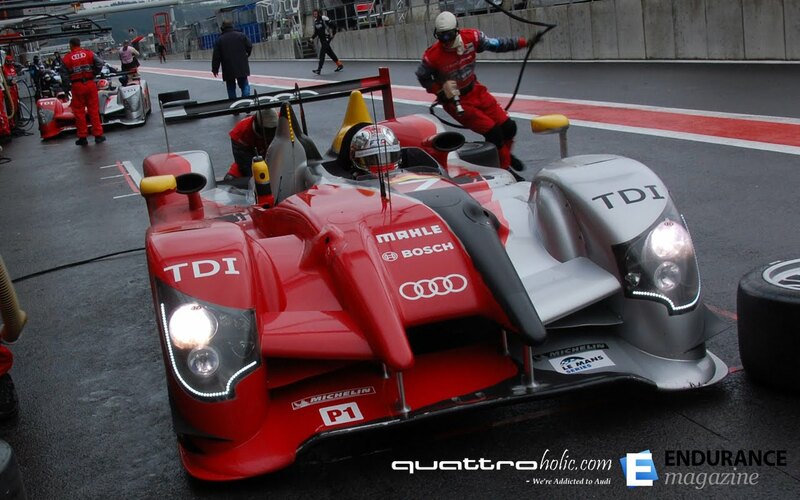 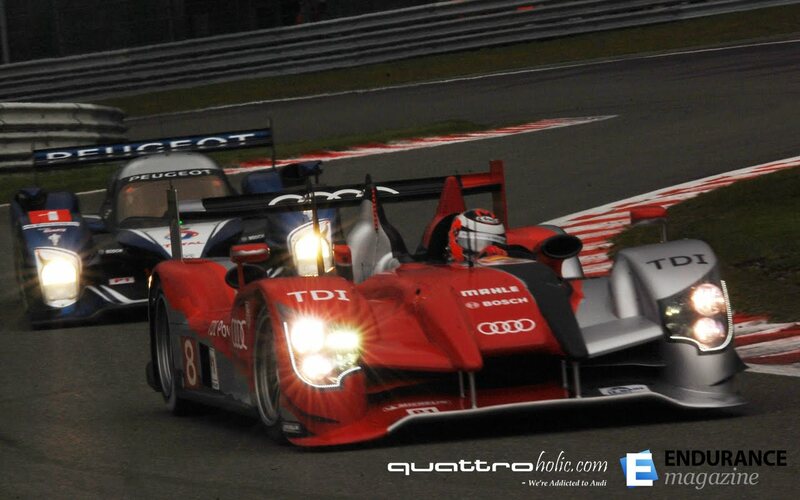 This weekend's 1000km race at Spa-Francorchamps marks Audi's second race of the 2010 Le Mans season. As mentioned in today's letter from Tom Kristensen, the race at Spa will act as a dress rehearsal for the 24 hours of Le Mans in June with Audi Sport Team Joest fielding three R15 TDI 'Plus' cars piloted by all nine drivers. 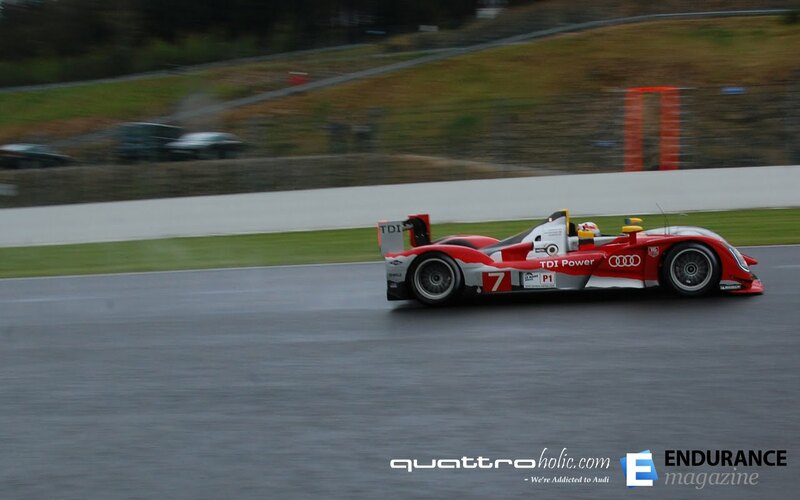 Although both sessions of today's free practice were dominated by Peugeot, Audi's best time was set by Andre Lotterer in fourth position of the 2nd session. 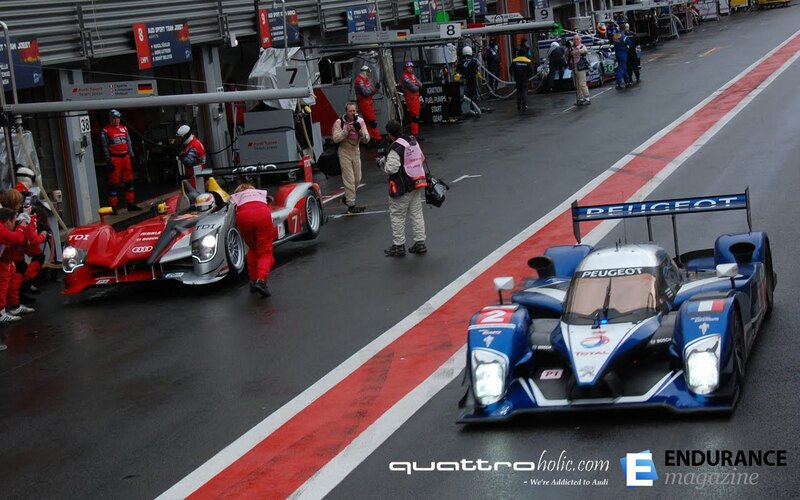 Our friends at Endurance Magazine were kind enough to provide photos from today's practice session. 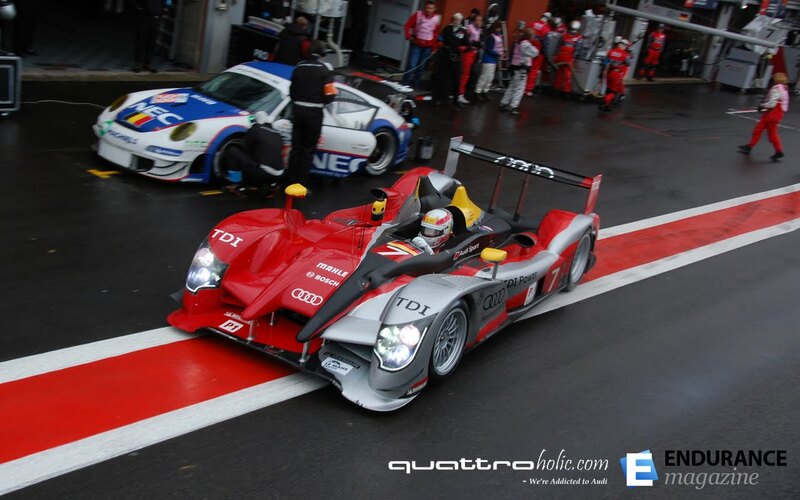 Endurance Magazine will be providing photos from each event this weekend at Spa Francorchamps as well as the 24 Heures du Mans.